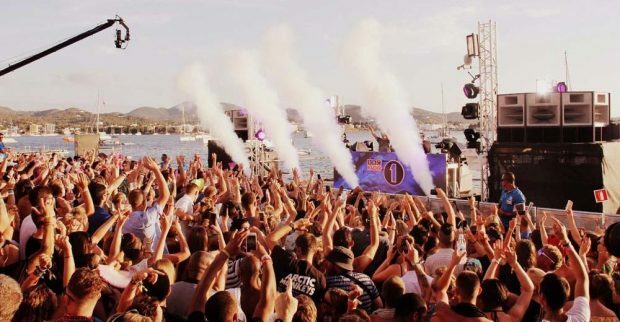 BBC Radio 1 Ibiza 2018 will take place on its usual weekend being the first in August. Radio 1 will be taking over Cafe Mambo on Friday the 3rd and Sunday the 5th bringing the Radio 1 dance crew to the iconic sunset venue. 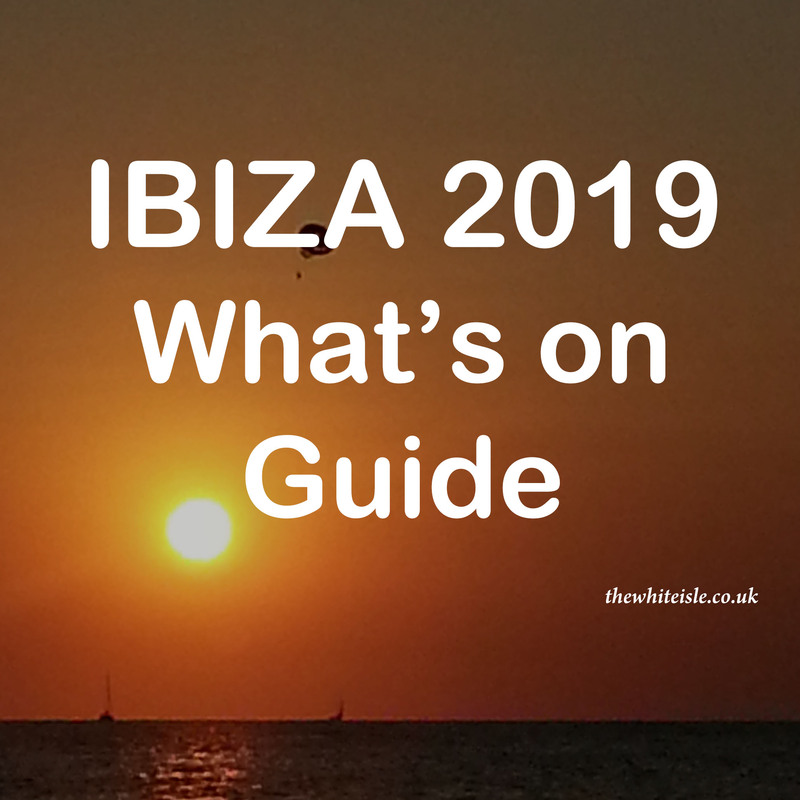 Annie Mac, Benji B, B.Traits, Danny Howard, Monki and Pete Tong will be hitting the White Isle with a huge list of special guests (listed below) for this iconic weekend. For those that cannot make it they will be broadcasting live at 6pm Ibiza time 7pm UK time on both evenings, those that can the show is free to attend and no tickets are required. 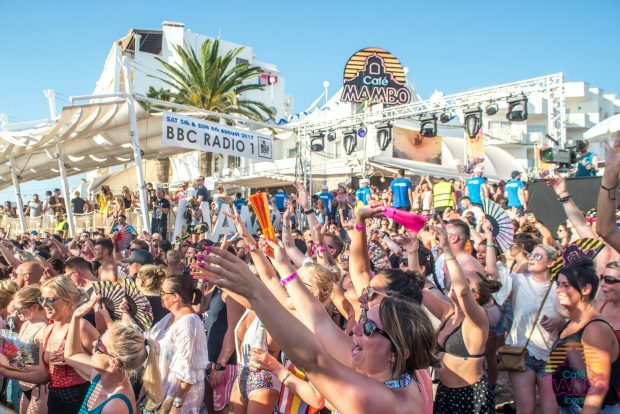 On Friday Cafe Mambo will see Annie Mac, B.Traits, Camelphat, Cassy, Danny Howard, Dennis Sulta, Eats Everything, Jax Jones, La Fleur, Mella Dee, MK, Patrick Topping, Pete Tong and some very special guests. On Sunday Evening Annie Mac will be joined by Benji B, Cassius, Krystal Klear, Mark Ronson, Monki, Octavian, Purple Disco Machine and a very special guest. On Saturday 4th August BBC Radio 1 will also take over ANTS at Ushuaia with Andrea Oliva B2B Pete Tong, Camelphat, Eli & Fur, Maya Jane Coles, Nic Fanciulli B2B Steve Lawler and Solardo. You can find out more info and grab tickets here. Added to all this there will also be an Ibiza Rocks take over By Radio 1xtra on the 4th August, read more here. 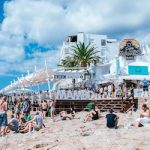 Further to this and for the first time BBC Radio 2 will be packing their bags and heading to the White Isle this summer for some exclusive events which you can read about here. 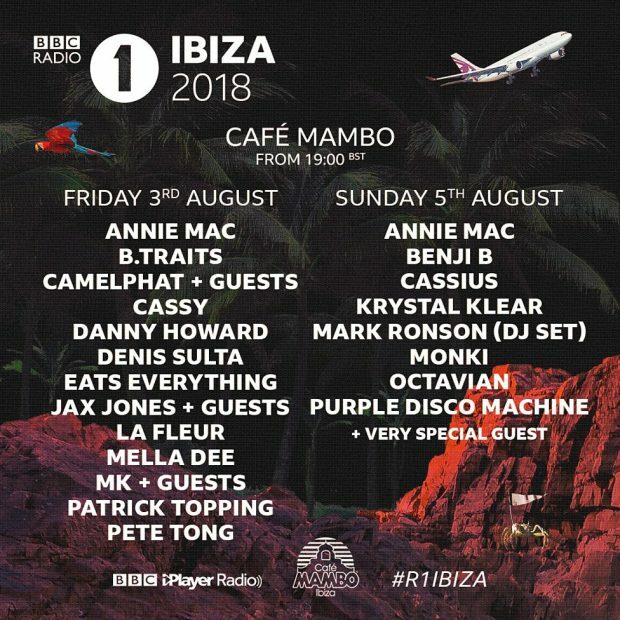 More details as we get them but make no mistake BBC Radio 1 Ibiza 2018 at Cafe Mambo will be two incredible evenings this summer. « Is the Ibiza party coming to an end? It’s not often I put pen to paper this way, but you have motivated me to say thank you! Thanks you for the Ibiza weekend! 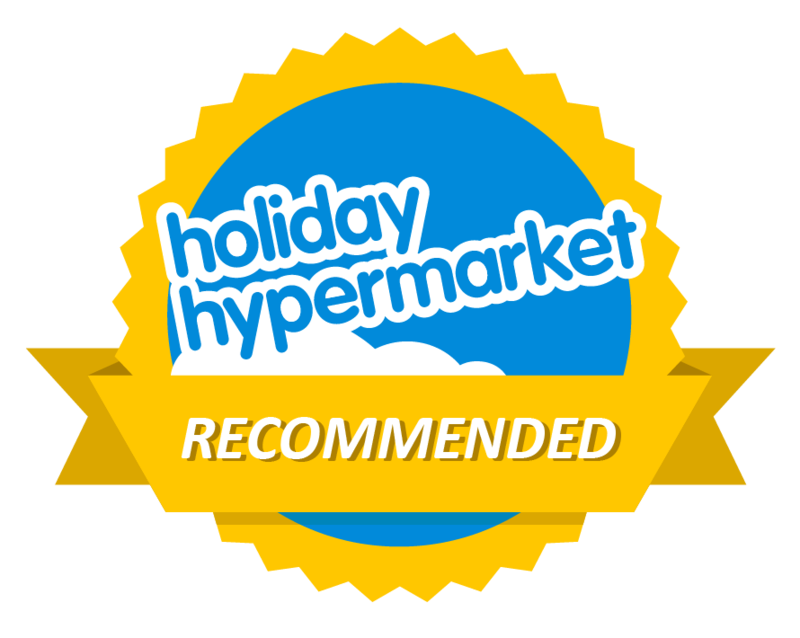 I have totally enjoyed the build-up, the weekend complete with the wind down on Sunday night. Even the Ibiza summer mixes were fantastic. It has been such new and refreshing radio, I only hope you can bring this holiday package to us more often than just once a year. I could not afford a holiday this year, but I feel I have been there with you living life to the max, and I can’t thank you enough for that and for bringing a smile to my face.